So next , you have been asked to be a brides maid at your family or friends wedding, the first thoughts for some is OOOOOOOOOO my another brides maid dress. Commonly these days, more times than not, you have been asked to expense your own dress, yet the bride has decided what she wants her maids to look like. Engaged now onto the "Dress"
First and foremost, congratulations on your engagement, now onto the planning. There is the venue, the guest list, decorations, wedding party and more. Yet, for every bride there comes the real time decision regarding the "dress". Our time is short, our lives are busy, yet every bride to be knows when she walks down that aisle all eyes are on her and the "dress". Weddings on the beach here in Southern California are throughout the year because weather always permits for a lovely morning rise, late afternoon breeze and evening sunsets (especially in the autumn and fall times) which add to your perfect day. Recently officiated a beach wedding in Dana Point in the evening. Beach weddings can be some of the simplest, affordable and yet elegant wedding in my experience. Meanwhile, in this post I wish to focus of wedding dresses that lend themselves nicely to beach weddings. You've finally found a gown, but before you can breathe a huge sigh of relief, kick back and relax until your wedding day, you've got to find the final touch that will complete your transformation from basic tobride. It all comes down to choosing the right veil. Think the waltz is just a dance step? The chapel only a place to say your vows? Could it really be that easy? Check our glossary to find out. 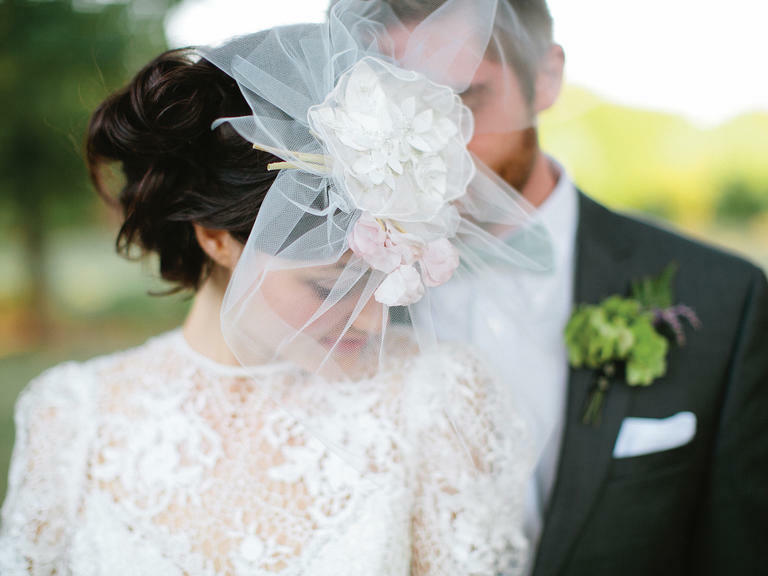 A gathered piece of tulle or netting that fastens to a comb or headpiece to create height for the veil. Pinterest and Brides.com have paired up for this article. It is a nice visual to help brides everywhere to understand based on their body style what dress style might work for them. Finding the prefect dress can a taunting job for anyone especially a busy, full time working bride. So take a few minutes out of your busy schedule, kick your shoes off, grab a glass of wine (or your drink of choice) and view this link. How To Find The Perfect Wedding Dress For Your Body. The White Wedding Dress, it has been anticipated by you since you were a young girl. Images of long flowing, lacy, trailed white dress which will only be worn by you on your Wedding Day. Afterwards to be cleaned and stored till who knows when. The white wedding dress hasn't always been the tradition. Previous to the marriage of Queen Victoria to Prince Albert in 1840, it was not uncommon and more traditional to wear black or heavy brocaded fabric dresses.